A.A.Bogomoletz Institute of Physiology NationalAcademy of Sciences of Ukraine, Kiev; Laboratory of Cell Physiology of Lil University ofSciences and Technology, France. In the present review we describe the major molecular determinants of calcium homeostasis in prostate cancer cells and establish their role in the transformation to apoptosis-resistant cell phenotypes typical of advanced androgen-independent prostate cancer. We show that the hallmark of such transformation is complete loss of apoptosis pathway associated with endoplasmic reticulum calcium store depletion. Abrahamsson P.A. Neuroendocrine cells in tumour growth of the prostate // Endocr. Relat. Cancer 6. – 1999. – Р. 503–519. Altznauer F., Conus S., Cavalli A. G. et al. Calpain-1 regulates Bax and subsequent Smac-dependent caspase- 3 activation in neutrophil apoptosis // J. Biol. Chem. – 2004. – 279. – P. 5947–5957. Annis M.G., Yethon J.A., Leber B. et al. There is more life and death than mitochondria: Bcl-2 proteins at the endoplasmic reticulum // Biochim. Biophys. Acta. – 2004. – 1644. – P.115–123. Antonsson B., Martinou J.C. The Bcl-2 protein fam- ily // Exp. Cell Res. – 2000. – 256. – P.50–57. Berridge M.J., Bootman M.D., Lipp P. Calcium – a life and death signal // Nature. – 1998. – 395. – P.645–648. Birnbaumer L, Boulay G., Brown D. et al. Mechanism of capacitative Ca2+ entry (CCE): interaction between IP3 receptor and TRP links the internal calcium stor- age compartment to plasma membrane CCE channels / / Recent Prog. Horm. Res. – 2000. –55. – P.127–161. Bodding M., Fecher – Trost C., Flockerzi V. Store – operated Ca2+ current and TRPV6 channels in lymph node prostate cancer cells // J. Biol. Chem. – 2003. – 278. – P. 50872–50879. Boehning D., Patterson R.L., Sedaghat L. et al. Cyto- chrome c binds to inositol (1,4,5) trisphosphate receptors, amplifying calcium-dependent apoptosis // Nat. Cell Biol. – 2003. – 5 –P.1051–1061. 9. Bonkhoff H. Neuroendocrine differentiation in human prostate cancer. Morphogenesis, proliferation and an- drogen receptor status // Ann. Oncol. – 2001. – 12. – P.S141–S144. 10. Bootman M.D, Lipp P., Berridge M.J. The organisation and functions of local Ca2+ signals // J. Cell Sci. – 2001. – 114. – P.2213–2222. Bouillon R., Van Cromphaut S., Carmeliet G. Intesti- nal calcium absorption: Molecular vitamin D mediated mechanisms // J. Cell Biochem. – 2003. – 88. – P.332–339. Breckenridge D.G, Germain M., Mathai J.P. et al. Regulation of apoptosis by endoplasmic reticulum pathways // Oncogene. – 2003. – 22. – P.8608–8618. Camello C., Lomax R., Petersen O.H. et al. Calcium leak from intracellular stores – the enigma of calcium signalling // Cell Calcium. – 2002. – 32. – P.355–361. Catz S.D, Johnson J.L. BCL-2 in prostate cancer: a minireview // Apoptosis. – 2003. – 8. – P. 29–37. Clapham D.E., Runnels L.W., Strubing C. The TRP ion channel family // Nat. Rev. Neurosci. – 2001. – 2. – P.387–396. Colombel M., Symmans F., Gil S. et al. Detection of the apoptosis-suppressing oncoprotein bc1-2 in hormone-refractory human prostate cancers // Amer. J. Pathol. – 1993. – 143. – P.390–400. Connor J., Sawczuk I.S., Benson M.C. et al. Calcium channel antagonists delay regression of androgen-de- pendent tissues and suppress gene activity associated with cell death //Prostate. – 1988. – 13. – P.119–130. Distelhorst C.W., Shore G.C. Bcl-2 and calcium: controversy beneath the surface // Oncogene. – 2004. – 23. – P. 2875–2880. 19. Feldman B.J., Feldman D. The development of andro- gen-independent prostate cancer // Nat. Rev. Cancer. – 2001. – 1. – P.34–45. 20. Fixemer T, Remberger K., Bonkhoff H. Apoptosis resistance of neuroendocrine phenotypes in prostatic adenocarcinoma // Prostate. – 2002. – 53. – P.118–123. Fixemer T., Wissenbach U., Flockerzi V., Bonkhoff H. Expression of the Ca2+-selective cation channel TRPV6 in human prostate cancer: a novel prognostic marker for tumor progression //Oncogene. – 2003. – 22. – P.7858–7861. 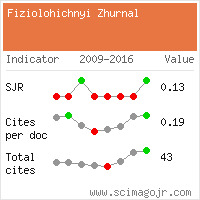 Furuya Y., Krajewski S., Epstein J.I. et al. Expression of bcl-2 and the progression of human and rodent pros- tatic cancers // Clin. Cancer Res. – 1996. – 2. – P.389–398. Furuya Y., Lundmo P., Short A.D. et al. The role of calcium, pH, and cell proliferation in the programmed (apoptotic) death of androgen-independent prostatic cancer cells induced by thapsigargin // Cancer Res. – 1994. – 54. – P.6167–6175. Gizatullina Z.Z., Grapengiesser E., ShabalinaI.G. et al. Effect of transforming growth factor-beta on calcium homeostasis in prostate carcinoma cells // Biochem. Biophys. Res. Commun. – 2003. – 304. – P.643–649. Gong Y., Blok L.J., Perry J.E. et al. Calcium regulation of androgen receptor expression in the human prostate cancer cell line LNCaP // Endocrinology. – 1995. – 136. – P.2172–2178. Guzey M., Kitada S., Reed J.C. Apoptosis induction by 1alpha,25-dihydroxyvitamin D3 in prostate cancer // Mol. Cancer Ther. – 2002. – 1. – P.667–677. Hengartner M.O. The biochemistry of apoptosis // Nature. – 2000. – 407. – P.770–776. Hoth M., Penner R. Depletion of intracellular calcium stores activates a calcium current in mast cells // Ibid. – 1992. – 355. – P.353–356. 29. Huang Y.T., Chueh S.C., Teng C.M., Guh J.H. Investigation of ouabain-induced anticancer effect in human androgen-independent prostate cancer PC-3 cells // Biochem. Pharmacol. – 2004. – 67. – P.727–733. 30. Humez S., Legrand G., Vanden-Abeele F. et al. Role of endoplasmic reticulum calcium content in prostate cancer cell growth regulation by IGF and TNFalpha // J. Cell Physiol. – 2004. – in press. Jayaraman T. Marks A.R.T cells deficient in inositol 1,4,5-trisphosphate receptor are resistant to apoptosis // Mol. Cell Biol. – 1997. – 17. – P.3005–3012. July L.V, Akbari M., Zellweger T. et al. Clusterin ex- pression is significantly enhanced in prostate cancer cells following androgen withdrawal therapy // Pros- tate. – 2002. – 50. – P.179–188. Kim J.H, Shin S.Y., Yun S.S. et al. Voltage-dependent ion channel currents in putative neuroendocrine cells dissociated from the ventral prostate of rat // Pflugers Arch. – 2003. – 446. – P. 88–99. Kirichok Y., Krapivinsky G., Clapham D.E. The mito- chondrial calcium uniporter is a highly selective ion channel // Nature. – 2004. – 427. – P.360–364. Krajewska M., Krajewski S., Epstein J.I. et al. Immunohistochemical analysis of bcl-2, bax, bcl-X, and mcl-1 expression in prostate cancers // Amer. J. Pathol. – 1996. – 148. – P.1567–1576. Kroemer G, Reed J.C. Mitochondrial control of cell death // Nat. Med. – 2002. – 6. – P.513–519. Kyprianou N., English H.F., Isaacs J.T. Activation of a Ca2+-Mg2+-dependent endonuclease as an early event in castration-induced prostatic cell death // Prostate. – 1988. – 13. – P.103–117. Kyprianou N., English H.F., Isaacs J.T. Programmed cell death during regression of PC-82 human prostate cancer following androgen ablation // Cancer Res. – 1990. – 50. – P.3748–3753. 39. Legrand G, Humez S., Slomianny C. et al. Ca2+ pools and cell growth. Evidence for sarcoendoplasmic Ca2+- ATPases 2B involvement in human prostate cancer cell growth control // J. Biol. Chem. – 2001. – 276. – P.47608–47614. 40. Li C., Fox C.J., Master S.R. et al. Bcl-X L affects Ca2+ homeostasis by altering expression of inositol 1,4,5- trisphosphate receptors // Proc. Natl. Acad. Sci. USA. – 2002. – 99. – P.9830–9835. Mariot P., Prevarskaya N., Roudbaraki M.M. et al. Evidence of functional ryanodine receptor involved in apoptosis of prostate cancer (LNCaP) cells // Pros- tate. – 2000. – 43. – P.205–214. Mariot P., Vanoverberghe K., Lalevee N. et al. Overexpression of an alpha 1H (Cav3.2) T-type calcium channel during neuroendocrine differentiation of human prostate cancer cells // J. Biol. Chem. – 2002. – 277. – P.10824–10833. Martikainen P., Isaacs J. Role of calcium in the pro- grammed death of rat prostatic glandular cells // Pros- tate. – 1990. – 17. – P.175–187. Mayer B, Oberbauer R. Mitochondrial regulation of apoptosis // News Physiol. Sci. – 2003. – 18. – P.89–94. McConkey D.J., Lin Y. , Nutt L.K. et al. Cardiac gly- cosides stimulate Ca2+ increases and apoptosis in an- drogen-independent, metastatic human prostate ad- enocarcinoma cells //Cancer Res. – 2000. – 60. – P.3807–3812. McDonnell T.J., Troncoso P., Brisbay S.M. et al. Ex- pression of the protooncogene bcl-2 in the prostate and its association with emergence of a S.M. ndrogen- independent prostate cancer // Cancer Res. – 1992. – 52 –P.6940–6944. Michalak M., Mariani P., Opas M. Calreticulin, a multifunctional Ca2+ binding chaperone of the endo- plasmic reticulum // Biochem. Cell Biol. – 1998. – 76. – P.779–785. Minke B., Cook B. TRP channel proteins and signal transduction // Physiol. Rev. – 2002. – 82 – .P.429–472. 49. Morishima N., Nakanishi K., Takenouchi H. et al. An endoplasmic reticulum stress-specific caspase cascade in apoptosis. Cytochrome c-independent activation of caspase-9 by caspase-12 // J. Biol. Chem. – 2002. – 277. – P.34287–34294. 50. Nakagawa T., Zhu H., Morishima N. et al. Caspase-12 mediates endoplasmic-reticulum-specific apoptosis and cytotoxicity by amyloid-beta // Nature. – 2000. – 403. – P.98–103. Nicholson D.W. Caspase structure, proteolytic sub- strates, and function during apoptotic cell death // Cell Death Differ. – 1999. – 6. – P.1028–1042. Nigg E.A. Cyclin-dependent protein kinases: key regulators of the eukaryotic cell cycle // Bioessays . – 1995. – 17. – P.471–480. Nutt L.K, Chandra J., Pataer A. et al. Bax-mediated Ca2+ mobilization promotes cytochrome c release dur- ing apoptosis // J. Biol. Chem. – 2002 – 277. – P.20301–20308. Orrenius S., Zhivotovsky B., Nicotera P. Regulation of cell death: the calcium-apoptosis link // Nat. Rev. Mol. Cell. Biol. – 2003. – 4. – P.552–565. Peng J.B, Chen X.Z., Berger U.V. et al. Molecular cloning and characterization of a channel-like trans- porter mediating intestinal calcium absorption // J. Biol. Chem. – 1999. – 274. – P.22739–22746. Peng J.B., Zhuang L., Berger U.V. et al. CaT1 expres- sion correlates with tumor grade in prostate cancer // Biochem. Biophys. Res. Commun. – 2002. – 282. – P.729–734. Pinton P., Ferrari D., Rapizzi E. et al. The Ca2+ concentration of the endoplasmic reticulum is a key determinant of ceramide-induced apoptosis: signifi- cance for the molecular mechanism of Bcl-2 action // EMBO J. – 2001. – 20. – P.2690–2701. Raffo A.J., Perlman H., Chen M.W. et al. Overexpres- sion of bcl-2 protects prostate cancer cells from apoptosis in vitro and confers resistance to androgen depletion in vivo // Cancer Res. – 1995. – 55. – P.4438–4445. 59. Rao R.V., Ellerby H.M., Bredesen D.E. Coupling en- doplasmic reticulum to the cell death program // Cell Death Diff. – 2004. – 11. – P.372–380. 60. Rao A., Luo G., Hogan P.G. Transcription factors of the NFAT family: regulation and function // Annu. Rev. Immunol. – 1997. – 15. – P.707–747. Rizzuto R., Bernardi P., Pozzan T. Mitochondria as all-round players of the calcium game // J Physiol. – 2000. – 529. – P.37–47. Rizzuto R., Pinton P., Ferrari D. et al. Calcium and apoptosis: facts and hypotheses // Oncogene. – 2003. – 22. – P.8619–8627. 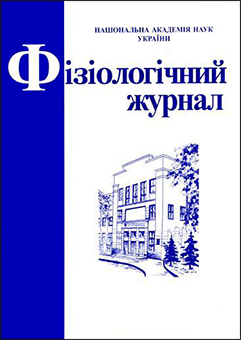 Robertson J.D, Orrenius S., Zhivotovsky B. Review: nuclear events in apoptosis// J. Struct. Biol. – 2000. – 129. – P.346–358. Sant’Agnese P.A. Neuroendocrine cells of the prostate and neuroendocrine differentiation in prostatic carcinoma: a review of morphologic aspects // Urology. – 1998. – 51. – P.121–124. Schendel S.L, Montal M., Reed J.C. Bcl-2 family pro- teins as ion-channels // Cell Death Differ. – 1998. – 5. – P.372–380. Schinzel A., Kaufmann T., Borner C. Bcl-2 family members: intracellular targeting, membrane-insertion, and changes in subcellular localization // Biochim. iophys. Acta. – 2004. – 1644. – P.95–105. Skryma R., Mariot P., Bourhis X.L. et al. Store deple- tion and store-operated Ca2+ current in human pros- tate cancer LNCaP cells: involvement in apoptosis // J. Physiol. – 2000. – 527. – P.71–83. Tombal B, Denmeade S.R., Gillis J.M., Isaacs J.T. A supramicromolar elevation of intracellular free calcium ([Ca2+] i ) is consistently required to induce the execu- tion phase of apoptosis // Cell Death Differ. – 2002. – 9. – P.561–573. 69. Tombal B, Weeraratna A.T., Denmeade S.R, Isaacs J.T. Thapsigargin induces a calmodulin/calcineurin-depen- dent apoptotic cascade responsible for the death of prostatic cancer cells // Prostate. – 2000. – 43. – P.303–317. 70. Van Coppenolle F., Vanden Abeele F., Slomianny C. et al. Ribosome-translocon complex mediates calcium leak from the endoplasmic reticulum stores // J. Cell Sci. – 2004. – in press. Vanden Abeele F., Roudbaraki M., Shuba Y. et al. Store- operated Ca2+ current in prostate cancer epithelial cells. Role of endogenous Ca2+ transporter type 1 // J. Biol. Chem. – 2003. – 278. – P.15381–15389. Vanden Abeele F., Skryma R., Shuba Y. et al. Bcl-2- dependent modulation of Ca2+ homeostasis and store- operated channels in prostate cancer cells //Cancer Cell . – 2002. – 1. – P.169–179. Vanden Abeele F., Shuba Y., Roudbaraki M. et al. Store- operated Ca2+ channels in prostate cancer epithelial cells: function, regulation, and role in carcinogenesis // Cell Calcium. – 2003. – 33. – P.357–373. Vanoverberghe K., Mariot P., Vanden Abeele F. et al. Mechanisms of ATP-induced calcium signaling and growth arrest in human prostate cancer cells // Ibid. – 2003. – 34. – P.75–85. Vanoverberghe K., Vanden Abeele F., Mariot P. et al. Ca2+ homeostasis and apoptotic resistance of neuroendocrine-differentiated prostate cancer cells // Cell Death Differ. – 2004. – 11. – P.321–330. Venkatachalam K., Van Rossum D.B., Patterson V. et al. The cellular and molecular basis of store-operated calcium entry //Nat. Cell Biol. – 2002. – 4. – P.E263–E272. Vermassen E., Parys J.B., Mauger J.P. Subcellular dis- tribution of the inositol 1,4,5-trisphosphate receptors: functional relevance and molecular determinants //Biol. Cell. – 2004. – 96. – P.3–17. Voets T., Nilius B. TRPs make sense //J. Membr. Biol. – 2003. – 192. – P.1–8. 79. Wang H.G., Pathan N., Ethell I.M. et al. Ca2+-induced apoptosis through calcineurin dephosphorylation of BAD // Science. – 1999. – 284. – P.339–343. 80. Wang Z, Tufts R., Haleem R., Cai X. Genes regulated by androgen in the rat ventral prostate // Proc. Natl. Acad. Sci. USA. – 1997. – 94. – P.12999–13004. Wertz I.E., Dixit V.M. Characterization of calcium release-activated apoptosis of LNCaP prostate cancer cells // J. Biol. Chem. – 2002. – 275. – P.11470–11477. Westin P., Bergh A., Apoptosis and other mechanisms in androgen ablation treatment and androgen indepen- dent progression of prostate cancer: a review // Cancer Detect. Prev. – 1998. – 22. – P.476–484. Wissenbach U., Niemeyer B.A., Fixemer T. et al. Ex- pression of CaT-like, a novel calcium-selective channel, correlates with the malignancy of prostate cancer // J. Biol. Chem. – 2001. – 276. – P.19461–19468. Wuytack F., Raeymaekers L., Missiaen L. Molecular physiology of the SERCA and SPCA pumps // Cell Calcium. – 2002. – 32. – P.279–305. Xing N., Qian J., Bostwick D. et al. Neuroendocrine cells in human prostate over-express the anti-apoptosis protein survivin // Prostate. – 2001. – 48. – P.7–15. Xue Y, Verhofstad A., Lange W. et al. Prostatic neuroendocrine cells have a unique keratin expression pattern and do not express Bcl-2: cell kinetic features of neuroendocrine cells in the human prostate // Amer. J. Pathol. – 1997. – 151. – P.1759–1765. Zelivianski S, Verni M., Moore C. et al. Multipathways for transdifferentiation of human prostate cancer cells into neuroendocrine-like phenotype // Biochim. Biophys. Acta. – 2001. – 1539. – P.28–43. Zhu N., Pewitt E.B., Cai X. et al. Calreticulin: an in- tracellular Ca2+-binding protein abundantly expressed and regulated by androgen in prostatic epithelial cells / / Endocrinology. – 1998. – 139. – P.4337–4344. 89. Zhu N., Wang Z. Calreticulin expression is associ- ated with androgen regulation of the sensitivity to calcium ionophore-induced apoptosis in LNCaP prostate cancer cells // Cancer Res. – 1999. – 59. – P.1896–1902. 90. Zimmermann K.C, Bonzon C., Green D.R. The ma- chinery of programmed cell death // Pharmacol. Ther.2001. – 92 . – P.57–70.